← Eating Healthy at Cafeteria Verde! My little boy just can’t get enough of these Jack ‘n Jill Espesyal Mamon Cups. For several months now, these mamon cups have always been included in my weekly grocery list. 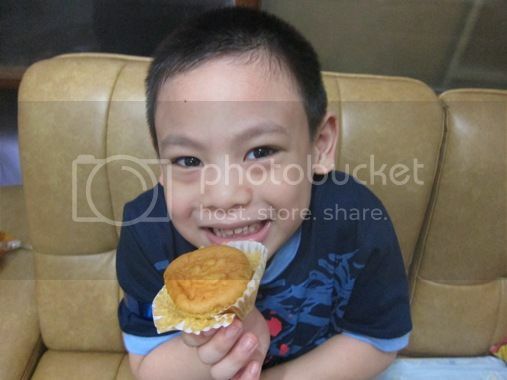 He often requests these mamon cups for his school snack. 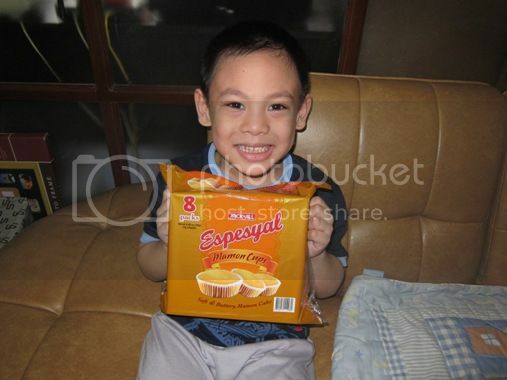 At home, he likes to eat these mamon cups after his lunch or dinner. Now even his Dad eats them, and that got me wondering! What is so special about these Espesyal Mamon Cups? That was something I had to discover for myself. Doing this wasn’t easy, however, as the little boy doesn’t want to share his current favorite snack with us. He wants everything to himself. LOL! That’s why I bought two bags of these the last time I went to the grocery store so I could try them, too. My two cents: These Espesyal Mamon Cups are indeed soft and buttery, as indicated in the packaging. The buttery taste also lingers in your mouth, and the sweetness is just right. Now I don’t wonder anymore why my little boy can eat four of these in one sitting. This entry was posted in Dessert, Snacks. Bookmark the permalink. what a sweet snacks, looks very yummy too 🙂 Visiting late this from Food Friday Sis, hope that you can return the visit too.